I am beginning a new series of video blogs with Music Ed Tech Talk. 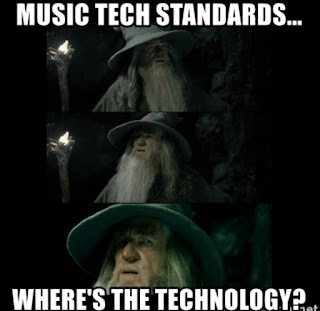 Over the last 2 years I have had the opportunity to present at a number of state, regional and national conferences on a variety of topics concerning music technology. I am up to approximately 16 different presentations and decided to use these presentations to create some video blogs in order to share the information with a larger audience. I hope that you find this, and upcoming videos, informative and useful. I hope that my video editing skills and production will improve with practice! In the meantime, I hope that you will take about 13 minutes to watch the video. As always, please comment, like and share! Best wishes for a restful, relaxing and rejuvenating summer!